If you’re tired of your cramped bathroom, then you’re in luck. There are a lot of different options and ideas for expanding a small bathroom without digging too deep into your wallet. You can add some extra elbow space, create a full master bathroom, or get a comfy bath for when you need a special pampering treatment. But, before you begin your expansion, there are some things you need to thoroughly think about. Here is a little guide on how to expand your small bathroom and turn it into an oasis of relaxation. How to create extra space? The most important question you need to answer is how to create that extra space. You have two options: steal space from another room in the house, or build an addition from scratch that will provide you with the needed space. You might want to look at your house as a whole for this one. Some people have a perfect layout for converting some unused space such as a pantry, or a movable wall that can make an adjacent room smaller and provide space for the bathroom. Sometimes, this is not possible at all, and you will need to build an addition. This can provide you with more flexibility and more different options. For instance, you might get enough space for a huge tub or a sauna for that relaxing tropical atmosphere. What to do with plumbing? Maybe you want to move the toilet, sink or shower around and create a new arrangement of fixtures, but think about that decision twice. Moving your plumbing can not only create additional costs (and big costs to be honest) but it can also take much more time to be done. You might want to consider keeping everything where it is to save both time and money. If there’s absolutely no way to keep the plumbing at the existing place, it’s best if you consult a plumber who will tell you how to best proceed with your project. As you expand, you might need more plugs and additional lighting. Get a seasoned electrician who will know how to proceed and what the best solutions for your bathroom are. 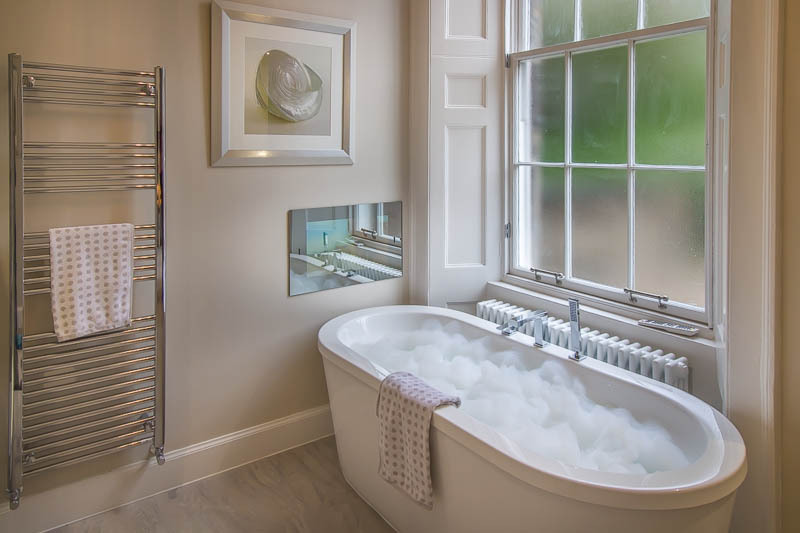 Think about installing a fan to provide your new bathroom with sufficient ventilation and to keep the moisture at bay, and if you live in an area that requires heating, you might want to consider a wall heater or connecting your bathroom to your home heating system. Maybe even a TV or some good speakers for those long baths? As your bathroom grows you might start thinking about water and energy efficiency. Your bathroom is where you waste the most water, so consider switching to low-flow showerheads and faucets, and getting a dual-flush toilet. You will save a significant amount of money over time just by replacing your standard fixtures with some water efficient ones. 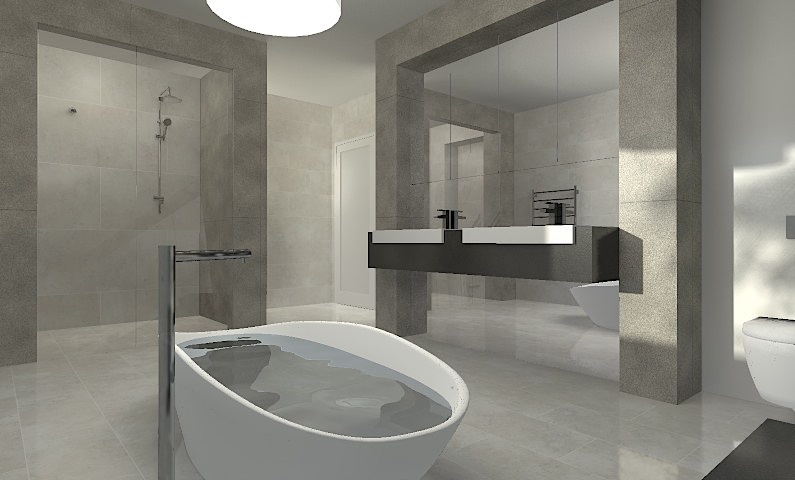 You can even take it one step further and discuss installing a grey-water reuse system in your bathroom. This way you’ll be able to reuse the dirty water for flushing or making a beautiful garden, and not only save money but also help conserve the environment. If you hire experienced extension builders, they will help you make many amazing changes and offer valuable advice, just remember to make all the decisions while everything is still exposed as making some changes afterwards can be quite expensive. 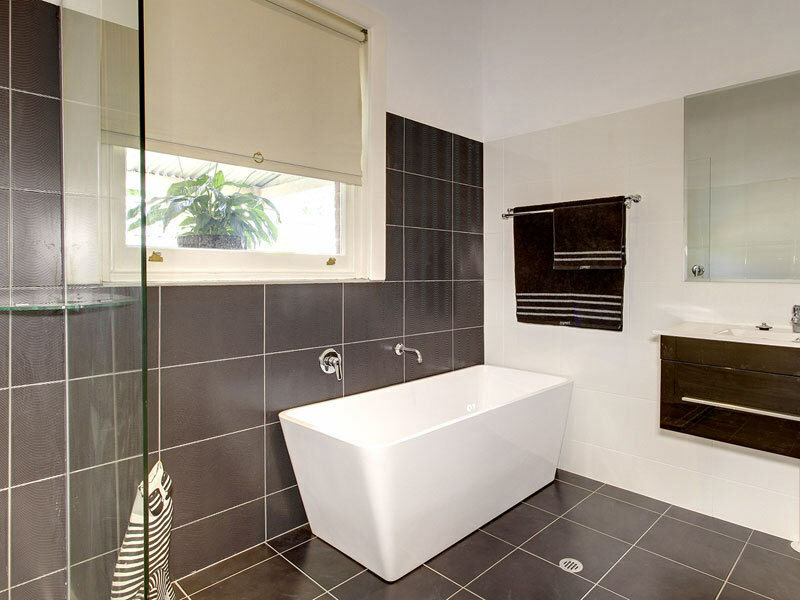 When it comes to building materials (ceramic tiles and bathroom fittings, for instance), you can either choose them on your own or ask a professional extension designer to help you make the right choice. Now that you know how to create that extra space, what to do and what not to do when it comes to plumbing and electricity, and how to harvest all the benefits of expending your bathroom into an eco-friendly space, you can basically start your project. 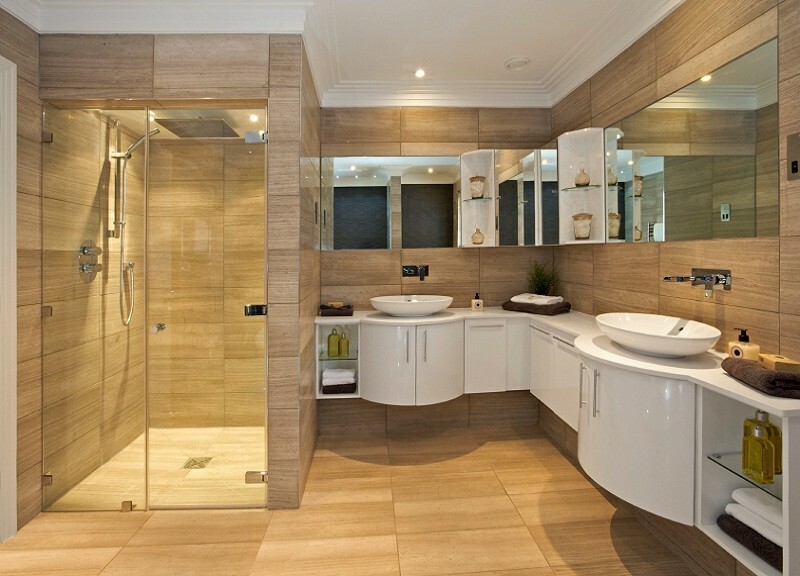 Make your dreams of a big beautiful bathroom come true and enjoy it properly. Happy expansion!